What a beautiful shade of red! 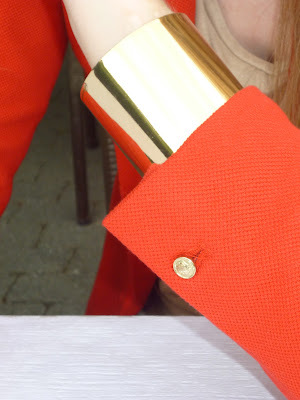 I love your blazer and the way you matched it with golden accessories! I think the size of the images is just right! Nice moving picture!!! to je uzasny uspech, drzim palce! I love that cuff bracelet! What a lovely blazer! The color is so pretty! Beautiful blazer and colours. Love it. Welcome to visit my blog and if you like it we could follow each other. 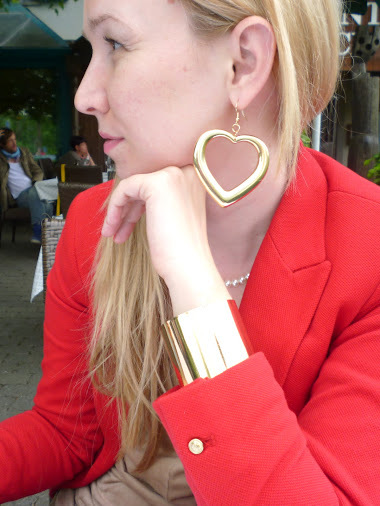 I am IN LOVE with your earrings. I was wondering if you could check out my blog pleaseeee. I love yours. Love it =)) this outfit is so cool!! i dont know anything about fashion. but i like your pic.